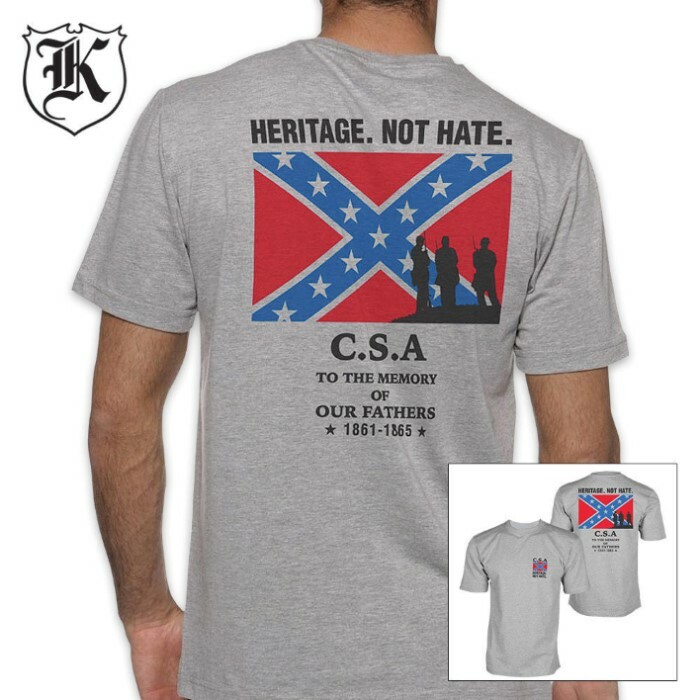 Heritage Not Hate CSA Confederate Rebel Flag T-Shirt | BUDK.com - Knives & Swords At The Lowest Prices! Heritage. Not hate. That's the message that this CSA Flag t-shirt delivers. Let everybody know how you feel every time you put on this CSA Confederate Rebel Flag t-shirt. 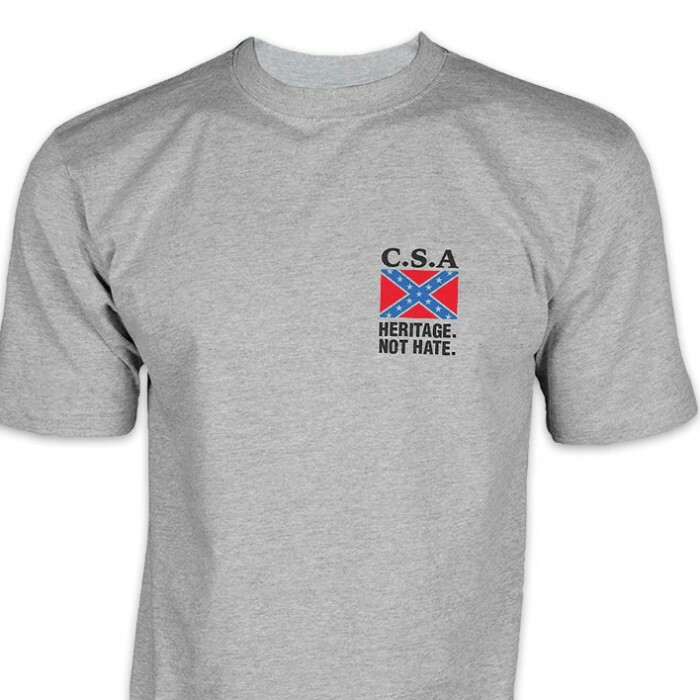 It features the CSA Confederate Battle Flag prominently on both the front and back with the words "Heritage. Not Hate." as well as a solemn nod to our Confederate fathers. Don't let anybody try to steal your heritage or overshadow it with a false veneer of hate. 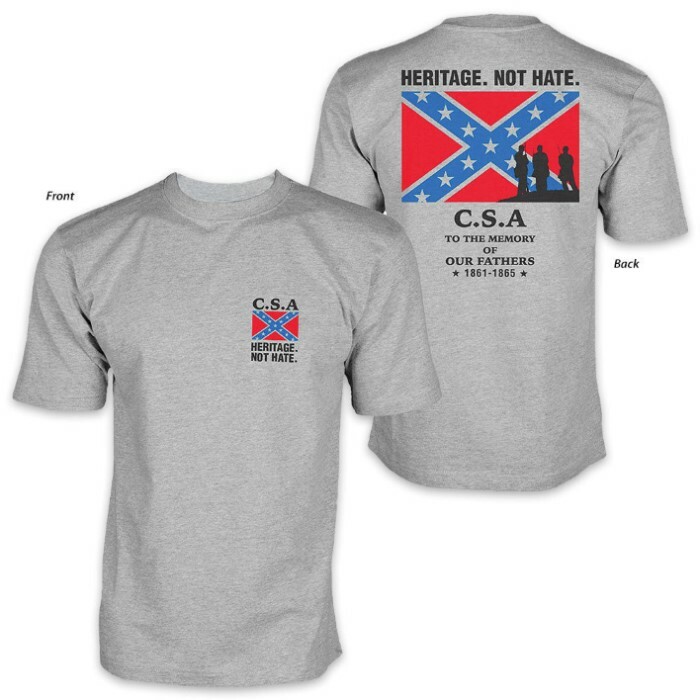 Get your Heritage Not Hate CSA t-shirt today and wear it boldly and proudly.